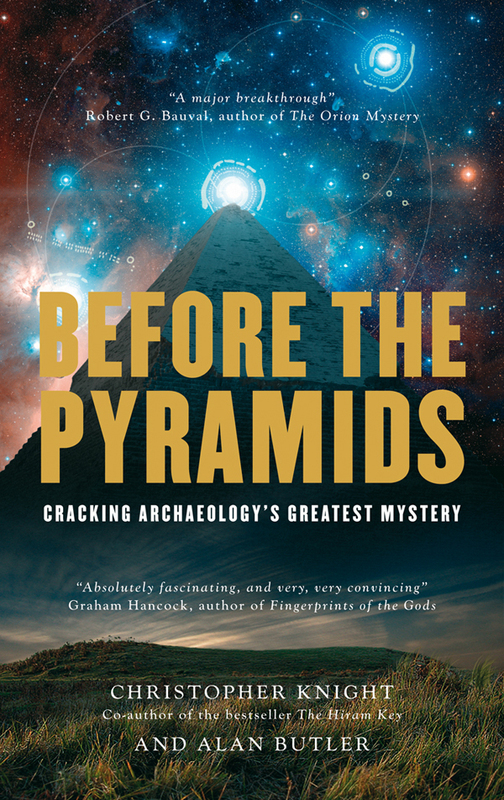 In their bestselling book Civilization One, the authors provided evidence for a prehistoric measuring system that indicated the existence of an ancient lost civilization – now they have found archaeological proof that predates the pyramids by a thousand years. The suggestion that the Giza pyramids were laid out to represent the stars of Orion’s belt, with the position of the River Nile reflecting the Milky Way, was first put forward by the renowned author Robert Bauval in his bestselling book The Orion Mystery. In Before the Pyramids Knight and Butler reveal that the British henges were arranged in the same formation – but much earlier. They also present irrefutable evidence that the astronomical calculations determining the layout of the pyramids could only have been made from the site of the henges in North Yorkshire. From this they can conclude that the pyramids of the pharaohs were conceived and planned in Britain! Their next stunning discovery takes us to modern times. They have found evidence that the whole Megalithic measuring system has survived into the 20th century. There are examples in Washington, DC – even in the positioning and construction of the Pentagon, which was only commenced in 1942 and is an exact copy of the dimensions of Stonehenge, dating to 3,000 BC. Christopher Knight’s first book, The Hiram Key (1996), co-authored with Robert Lomas, became an instant bestseller and has since been translated into 37 languages selling over a million copies worldwide. Alan Butler, an engineer fascinated by history, also became an expert in astrology and astronomy. He has researched ancient cultures, pagan beliefs and comparative religion and has published four successful books on the Knights Templar and the Grail legend.